I was listening to music in my room, when I realized that I had the perfect idea for the piece missing on my wall. I struggle with forgiveness, and really, mostly with forgetting. 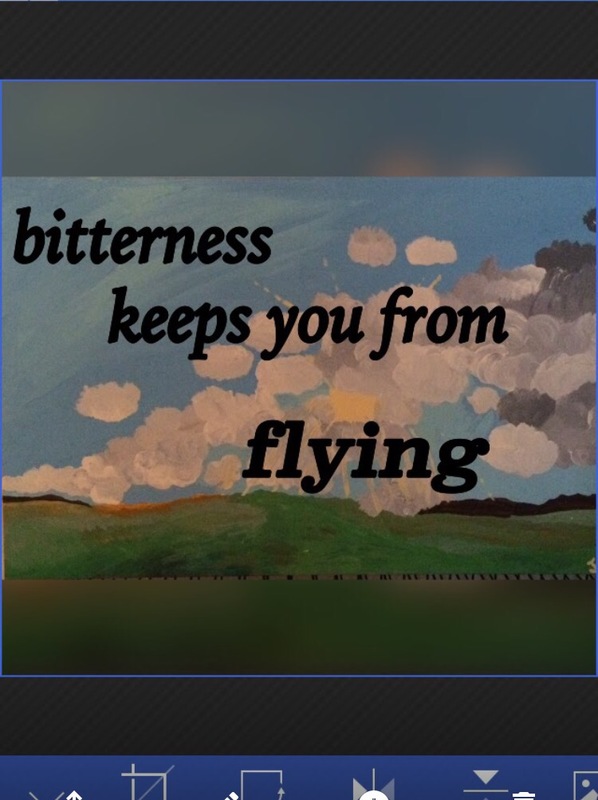 The quote “bitterness keeps you from flying” is from the Tim McGraw song “Humble and Kind.” I want to focus on happiness, love, and the present. I don’t want to waste any more time on the bad or bad memories. My bedroom wall has been empty for quite a while, and I wanted to paint something this year. 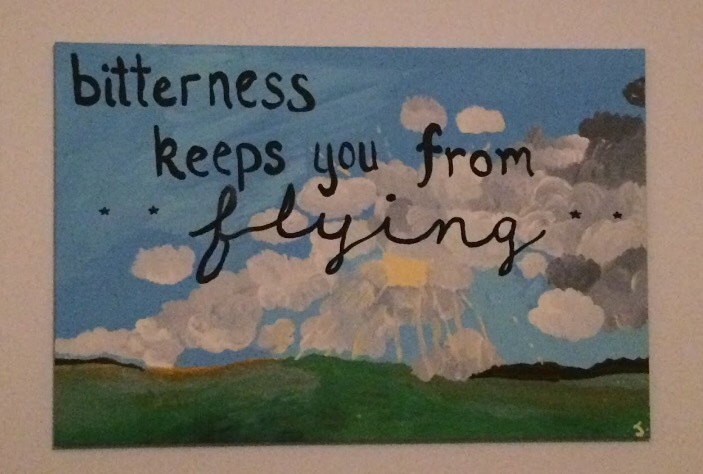 I thought the clouds and sun would be pretty, and planned for a quote over the painting. I used an app (PhotoGrid) to decide how I wanted the letters before painting them on there. 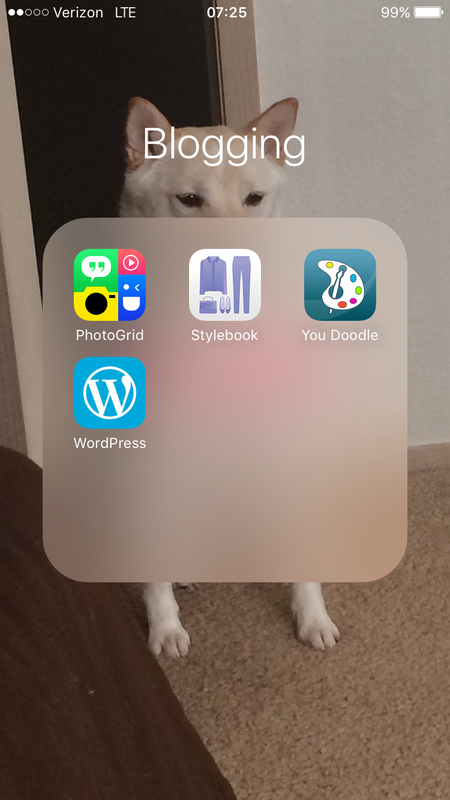 My letters didn’t turn out quite like the app, but it works! Have you ever painted your own art for your place? It’s kind of a lot of pressure… I don’t love how it turned out, but I still like it.